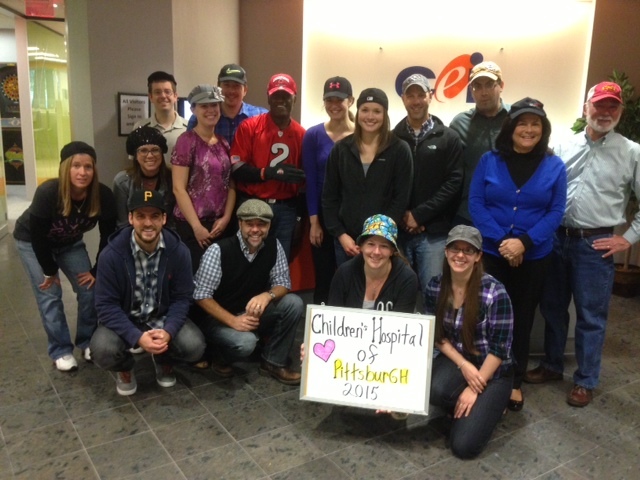 CEI Pittsburgh Participates In Children’s Hospital of Pittsburgh’s “Wear A Hat for Cancer” Day! On Friday October 2nd Computer Enterprises, Inc. happily decided to take part in the local Children’s Hospital of Pittsburgh’s “Wear A Hat For Cancer” day. The Cancer and Blood Disorder Auxiliary of the Children’s Hospital of Pittsburgh Foundation presented their 4th annual Wear A Hat For Cancer campaign. Schools and businesses were offered the chance to participate in such a wonderful cause by asking each participant to donate $2 to wear a hat to work or school that day. The goal? To raise enough money to remind the young children who face the fear of cancer everyday know that they are not alone fighting cancer and that others are here to help them in the long journey. Many CEI employees took the time and money to support this philanthropy raising about $160 to donate to the Children’s Hospital of Pittsburgh. CEI is proud and honored to help their local hospital during this October to bring awareness to cancer. Did your school or place of work take part too? Share your story with us we’d love to here how it went for you as well. Check out our wonderful employees participating in this cause! Thank you for helping out!